The set of encyclopedias within the family home was a sight to behold for those of us who grew up in the pre-Wikipedia, pre-Google days. When “the Internet” was just a futuristic fantasy, us kids and many adults had to consult with what now seems incredibly archaic: a set of books with static information inside that provided us with what was then the most “up to date” information on a subject or item. The once-popular trope of the door-to-door salesman was in part modeled after those who sold encyclopedias because, in large part, they were everywhere. In the heyday of the encyclopedia boom, a set could SET you back a few hundred, or even thousand dollars – and keep in mind, that amount of money huge if you think about it in today’s dollars. The encyclopedia BUSINESS was a profitable one, in that these books, regardless of the expense, HAD to be updated and replaced on a yearly or semi-yearly basis, and any parent worth their salt who invested in the original sets of books would HAVE to replace them after they became obsolete, if they wanted their child to learn. 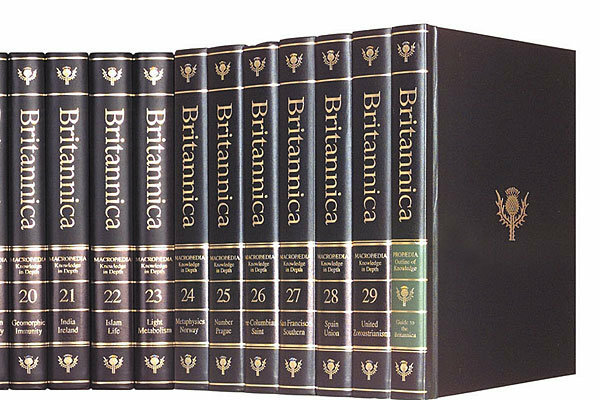 In 2010, the last editions of the Encyclopedia Brittanica were printed, and in 2012, the last salesman knocked on his last door. Today we take for granted the ability to find out information in a second or two and expect to do so whenever and wherever we want. Even though, believe me, there was something particularly satisfying about having a thought or question, reaching for a leather-bound tome, looking for the answer and, ultimately, finding it, amongst many printed pages.